Amid increased global sustainability concerns and the implementation of the U.N. 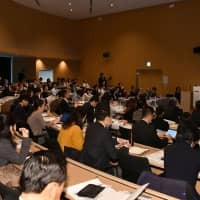 Sustainable Development Goals (SDGs), it is vital for companies to work on environmental, social and governance (ESG) issues to attract investment and contribute to the realization of a sustainable world through value creation, leaders and experts told the audience at a recent forum in Tokyo. 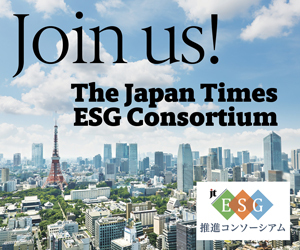 The Japan Times ESG Consortium, which was established in 2018 with the aim of conveying English-language information about ESG initiatives in Japan to overseas investors, hosted the forum on Feb. 20 to share the significance of ESG investment and how to promote corporate engagement. 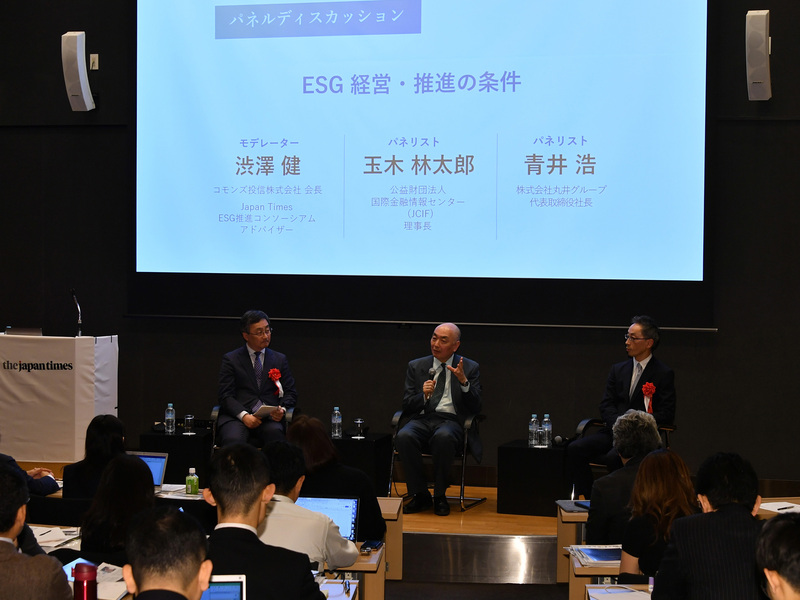 The forum featured three ESG leaders who are spearheading efforts in Japan. Rintaro Tamaki, president of the Japan Center for International Finance (JCIF); Norihiro Takahashi, president of the Government Pension Investment Fund (GPIF); and Hiroshi Aoi, president of major retail chain Marui Group Co., spoke to the capacity audience at the Roppongi Academyhills Auditorium. 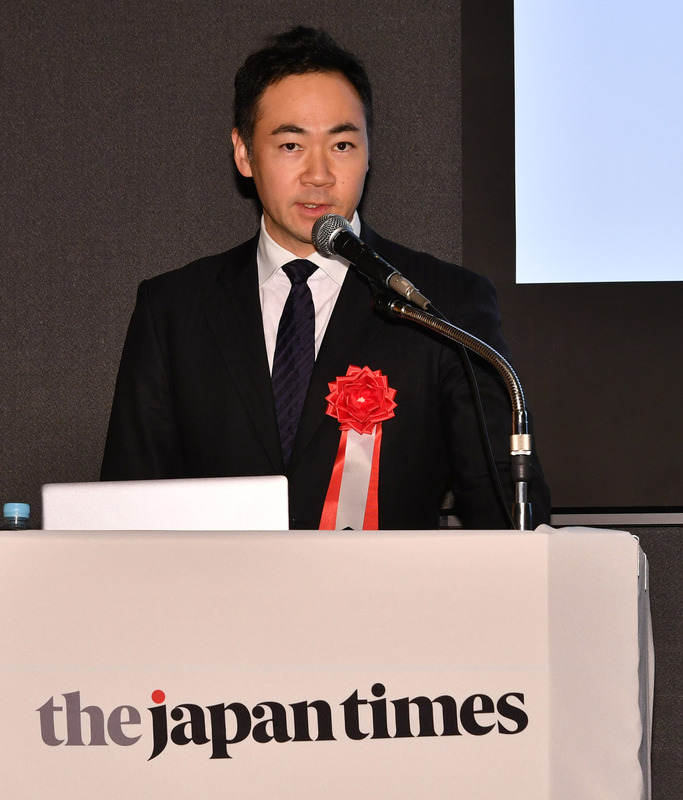 In opening remarks, State Minister of Finance Keisuke Suzuki pointed out that climate change, as witnessed last year in the frequent natural disasters and abnormal weather worldwide, demands a major shift in existing social systems. “Rather than just relying on the awareness and ethics of individuals and companies, we need to expect further financial inflow to promote ESG trends,” Suzuki said. He also emphasized the importance of creating a framework for the corporate disclosure of ESG information and a standard index that enables investors to compare companies. 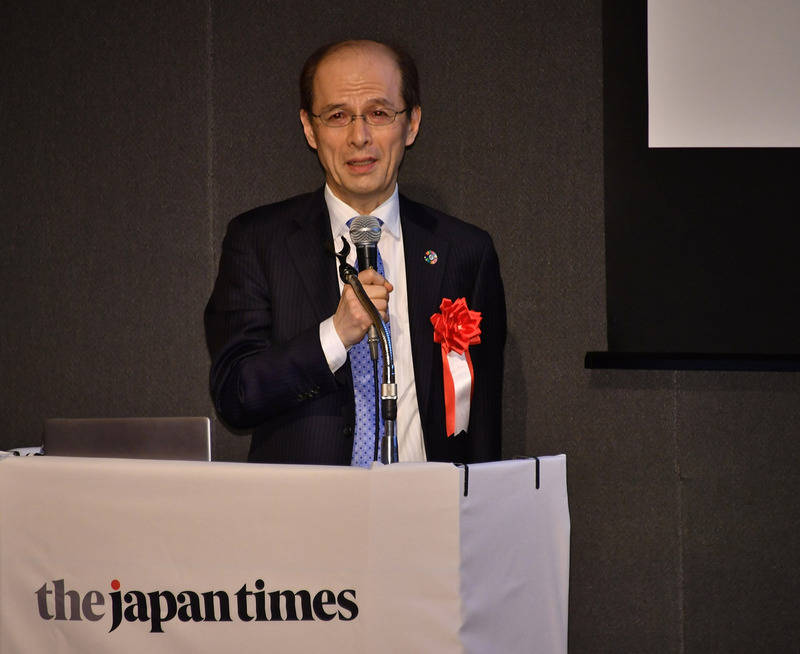 “The world is undergoing drastic transformation,” Tamaki said, citing major factors such as demographics, digitization and climate change, and explaining why ESG matters. Tamaki referred to the historic 2015 Paris Agreement, as well as the latest report from the Intergovernmental Panel on Climate Change that contains a chilling prediction of global warming and recommends limiting warming to within 1.5 degrees. But to achieve that, global carbon dioxide emissions would have to reach net zero by 2050. Regarding impacts on business, Tamaki mentioned three points. First, rather than viewing their businesses as an extension of current business models, companies should consider them looking back from a future where people use no fossil fuels. Second, it is essential for establishing and maintaining corporate brand image to be environmentally friendly. Finally, companies should disclose their activities to stockholders and investors, who are keen for long-term returns. While market mechanisms are indispensable to realize such transformations, the reason why the market does not currently function is because “carbon pricing has yet to be implemented,” Tamaki pointed out, and suggested carbon taxes and emission trading plans as possible solutions. “If the government can clarify a long-term, reliable road map in implementation, carbon taxes may be very effective to change behaviors and boost investment and research and development in environmentally friendly fields,” Tamaki said. Tamaki also touched on issues related to green finance, including so-called stranded assets, most of which are from fossil fuel energy; divestment from fossil-fuel based businesses; expanding the green bond market; and disclosure, namely the Task Force on Climate-related Financial Disclosure (TCFD). Considering the world’s predicted situation 25 years from now, however, future generations will likely suffer from climate change more than today’s generation. Therefore, GPIF should not only ensure profitability, but also be committed to a sustainable society. 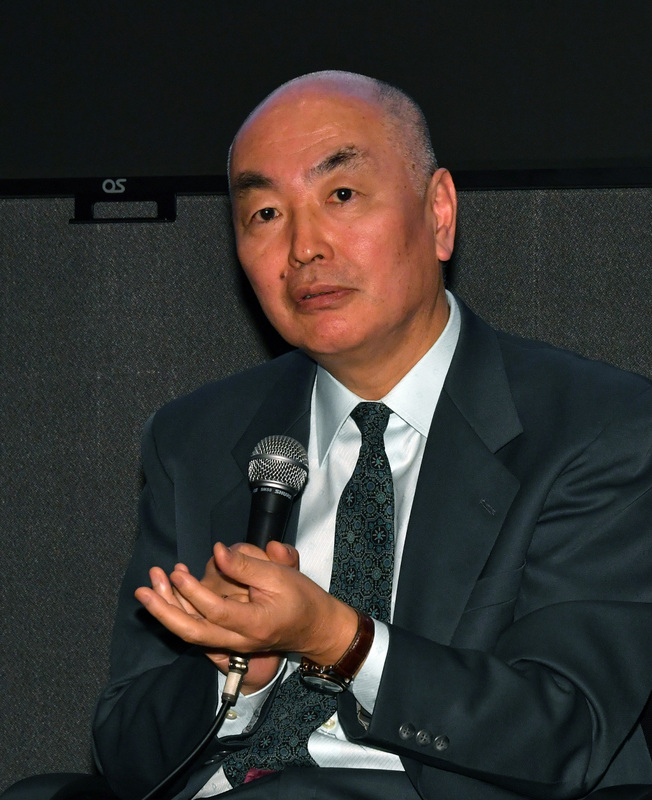 “That’s the fundamental challenge facing GPIF as a long-term investor,” Takahashi said. According to GPIF’s current portfolio, half of total assets under management are invested in stocks. With ¥80 trillion, its investment style is mostly passive, meaning GPIF doesn’t actively choose, but possesses stocks of nearly all listed companies, domestic or foreign, for many years. “As a long-term universal owner, we cannot choose, but we bet on the social system itself,” Takahashi said. Thus it’s natural for GPIF to promote ESG about reducing long-term risks such as global warming and lack of corporate governance that might threaten companies in the future, he explained. GPIF makes investments through asset management companies, since it cannot directly purchase financial assets under current laws. 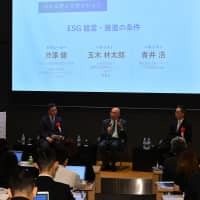 Selecting five ESG indexes such as the FTSE Blossom Japan Index, the MSCI Japan ESG Select Leaders Index, the S&P/JPX Carbon Efficient Index and the MSCI Japan Empowering Women Index covering firms that meet certain environmental, social and corporate governance criteria, GPIF invests ¥3 trillion in them. Companies are added to the indexes through positive screening and disclosure of ESG information is encouraged. In December, GPIF expressed its support for the TCFD. “Yet, Japanese companies’ disclosure about greenhouse gas still remains low in the global ranking,” Takahashi said. To further promote ESG activities, GPIF has annually selected excellent corporate reports on ESG information, involving asset managers, companies and employees since 2016. Founded in 1931, Marui set up a furniture store that accepted installment payments, and has developed a business model combining retail and finance to cope with changing times. 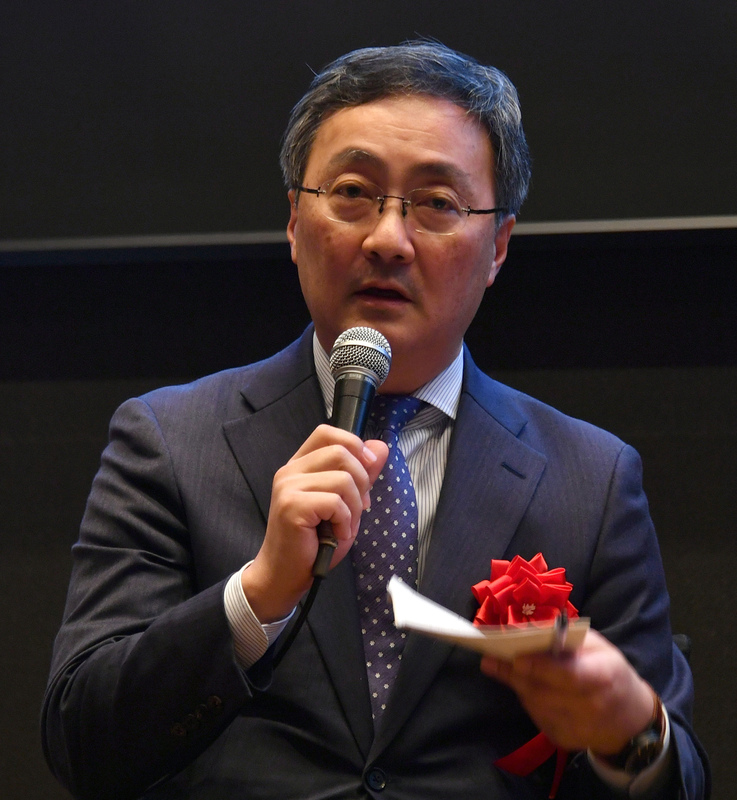 “Creating value with our customers was our founder’s philosophy; we now have developed it into involving all the stakeholders, including future generations,” Aoi said. Aoi introduced the company’s efforts in regard to ESG issues by laying out five factors that may impact many companies. It is important to consider whether ESG enhances corporate value, how to deal with cost increase, how to garner management commitment, what kind of activities can be done and how to spread the ideas of ESG within the company. Line charts indicating the movements of stock price and EPS (earning per share) of Marui Group over the past five years, as compared to that of Topix, and rival companies, attracted audience attention. “I would assume that the stock market mechanism began to reflect non-financial ESG information as well in recent years,” Aoi said. Being aware of the risks of climate change, Marui Group has started to shift away from fossil fuels for its electric power, which accounts for 80 percent of its energy use, to renewable energy. Last July, the company became a member of RE100, a global, collaborative initiative of influential businesses committed to using 100 percent renewable electricity. The company issued a ¥10 billion green bond specifically to achieve the RE100 target, the first Japanese retailer to do so. 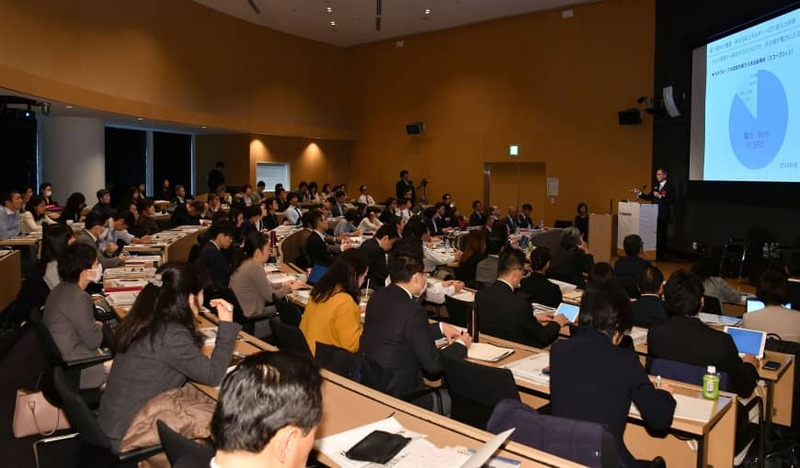 While working in collaboration with power producer Minna-Denryoku Inc., and involving Marui’s EPOS credit card members to shift to clean energy, Marui is also scheduled to register as an electricity retailer to build up its own supply network. “It’s important to transform environmental efforts from a risk or cost increase into an opportunity by incorporating the efforts in our business,” Aoi said. 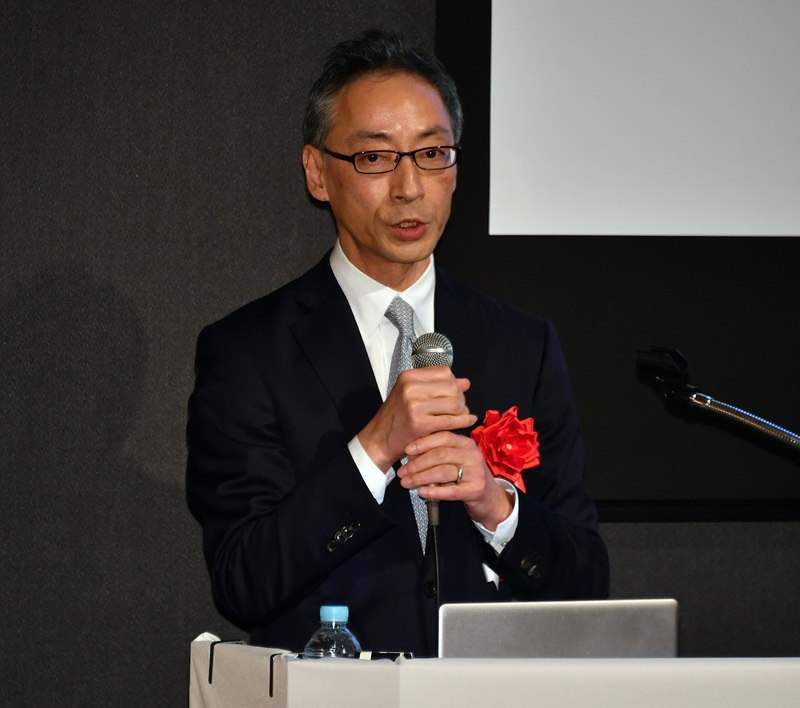 Aoi presented the company’s vision toward an inclusive society where everyone can feel happiness and the company’s efforts to realize it through its business such as inclusive shops and manufacturing, as well as financial inclusion. “Basically, ESG information is for stock holders and investors, but it’s also for employees, customers and clients,” Aoi said. “That’s why ESG matters. It’s for management itself.” He added how ESG is beneficial to recruit excellent employees. “Millennials have sympathy for inclusion,” he said, and introduced various activities toward inclusion initiated by motivated employees, rather than top management. “It’s important to transform the corporate culture for promoting ESG, and promoting ESG transforms the corporate culture,” Aoi said. 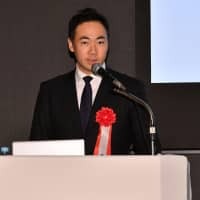 The lectures were followed by a panel discussion with Tamaki and Aoi as panelists, moderated by Ken Shibusawa, head of Commons Asset Management Inc.
Shibusawa inquired about the interest and reactions of investors in investor relations activities and whether there is a difference between Japan and abroad. 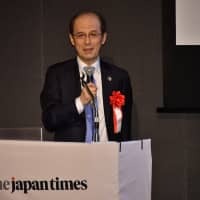 Aoi noted that Japan still lags behind in ESG investment compared to Europe and the U.S., but thanks to massive GPIF promotion, ESG information has become essential in asset management. “There is no rejection from investors anymore. Yet, half of them were gawking in disbelief when I talked about our long-range outlook introducing the essence from our Vision Book 2050,” Aoi said. “It’s necessary to gain consensus about ‘green,’ supported by government, as well as rating agencies,” Tamaki said. In terms of corporate disclosure for investors, Shibusawa asked how to measure non-financial ESG information. Tamaki said that climate change-related points are easy to measure that they have become almost like financial information. “How to create such indicators is a challenge in common with the implementation of the SDGs,” Tamaki said. Shibusawa’s final question was about the difference between corporate missions (what) and purposes (why). “Rather than profit-driven decision making, I believe that purpose-driven management, considering why we do it, enables us to make sound decisions, including profit,” Aoi said. Tamaki agreed and pointed out younger generations such as millennials are keen for the purpose of businesses focusing on improving society. Michiyo Morisawa, Japan head of the Principles for Responsible Investment and CDP (formerly the Carbon Disclosure Project) Japan director, closed the forum and expressed her expectation for further engagement in the consortium in the future. This series highlights ESG (environmental, social and governance) activities of companies and other organizations.